I'm back after a few weeks of absence due to my trip to Europe and a jet lag recover that took longer than I expected. But now I'm here, full with new ideas and lots of inspiration. Exactly a month ago I was in Stockholm. In the city I always get inspired by. I've been preparing some posts about my time there. This is the first one! Every time I go to Stockholm I pay a visit to Fotografiska. My favorite museum in Stockholm, situated on the island of Södermalm. Besides being a charming museum with always beautiful expositions, they also offer you one of the most fantastic views of the city. 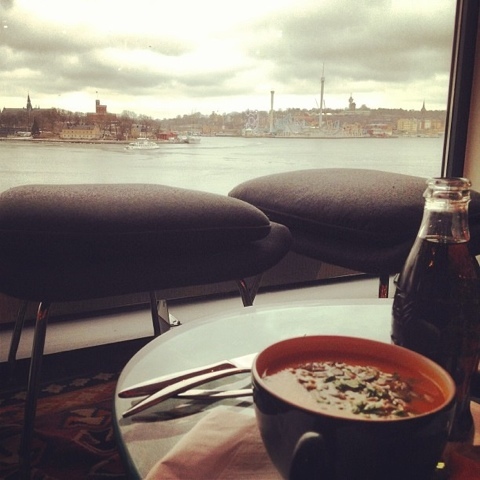 This nice city view, you can experience best from their restaurant which serves delicious food aswell. Together with my lovely friend Natascha from Mocca&me we visited it and we had a great time there! We had the opportunity to see David La Chappele - Burning Beauty - collection and to buy some nice posters. 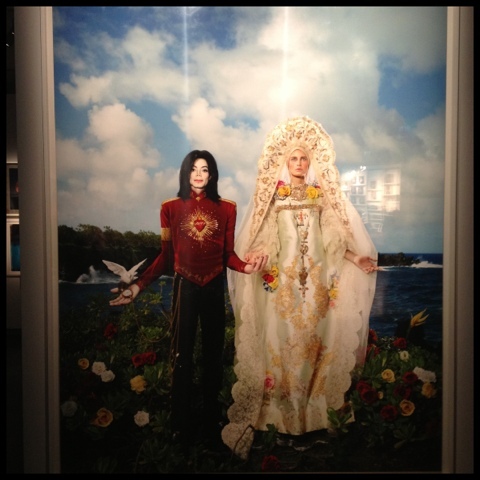 David LaChapelle is best known for his glamorous and absurd images from the world of fashion, celebrities and models, but this exhibition presents all the aspects of his oeuvre. 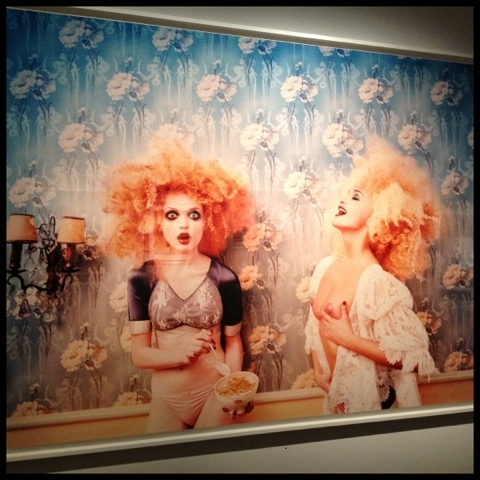 If you didn't saw this exposition yet, and you are in Stockholm you still have until next sunday to visit it. More information here. 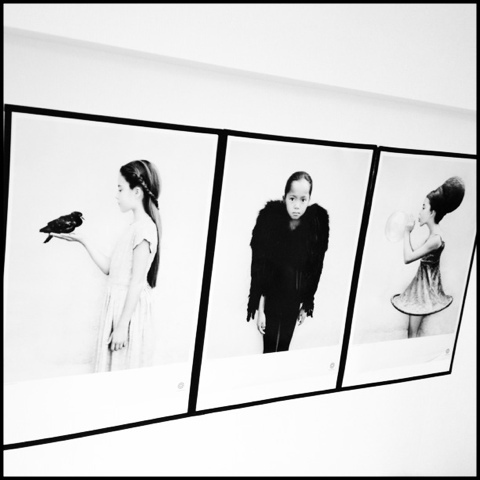 Below you see the Vee Speers posters I got at Fotografiska which are hanging now on my wall. I've been in love with them for a while, and now I can enjoy looking at them all the time. My dear and stylish and fabulous and creative and suuuper sweet friend! Thanks for the mention and the link! Love the post and LUV the posters, they're looking good especially with the tulips. Lovely to see the blogger camraderie above :) I went to Fotografiska on the first night there and was blown away by his creative talent. I agree, some of the images were rather absurd but I do like that injection of dry humour in his work. Did you watch that body popping show he directed? I thought that was very interesting - to see how a dance movement could bring some joy and hope to those in poverty. 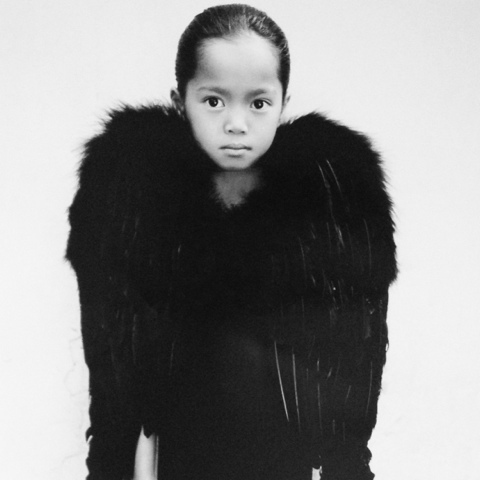 By the way, love your Vee Speers poster. I wished I had seen it, would love to have it on one of my walls. Have a super weekend and hope to meet soon, are you coming to MTB London?